Put down your sub of the day and step away from your Greggs festive bake because Randall & Aubin have entered the lunchtime arena with their Rapide Menu and they're really shaking things up. Weekdays between 12-7pm you can grab a hearty meal and a glass of wine or beer from this swanky restaurant for just £12.50, perfect for an escape away from the office or the first stop before heading for a night of cocktails in Spinningfields. As the naming suggests the dishes have been specially put together so they can fly out of the kitchen to make sure you're not sat tapping your watch on a tight lunch break. So what's up for grabs? 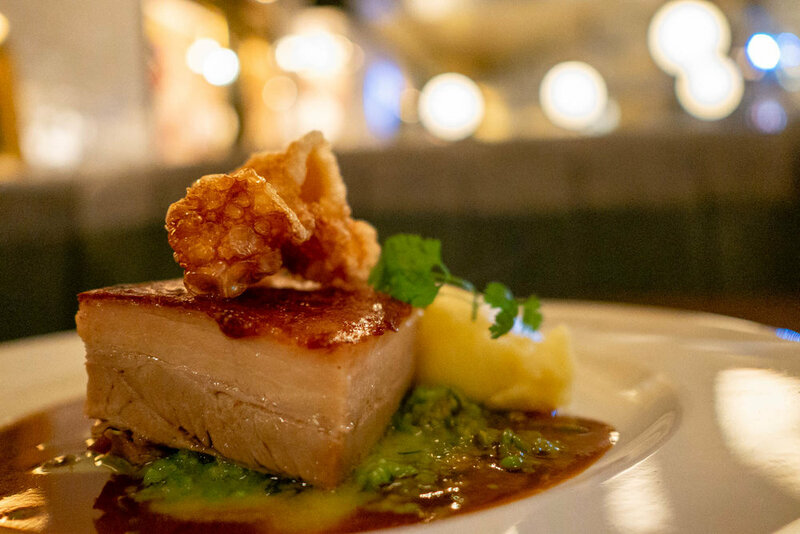 If you're heading down on a Monday you can expect roast pork belly with mash, pea & apple sauce. 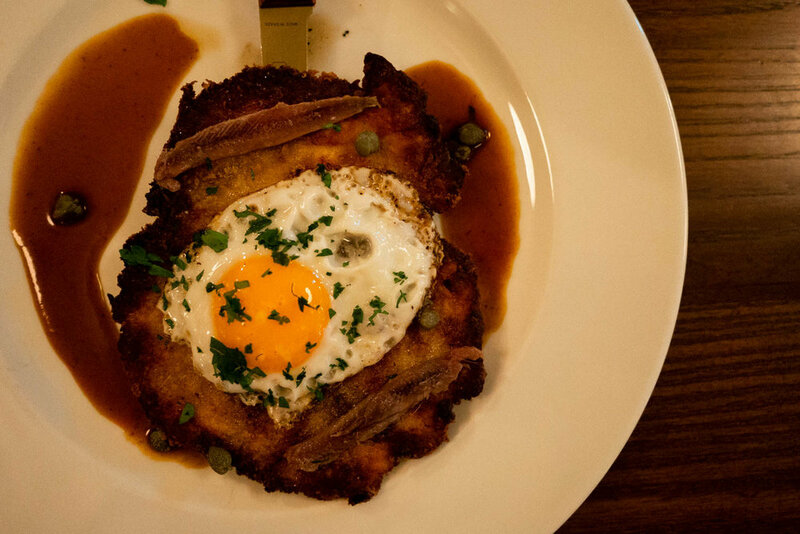 On a Tuesday expect chicken schnitzel with fried eggs, anchovies, gravy and chips. Wednesday is serving up duck confit with pommes purée and fresh vegetables. Thursday is a wonderful navarin of lamb with seasonal vegetables and new potatoes. 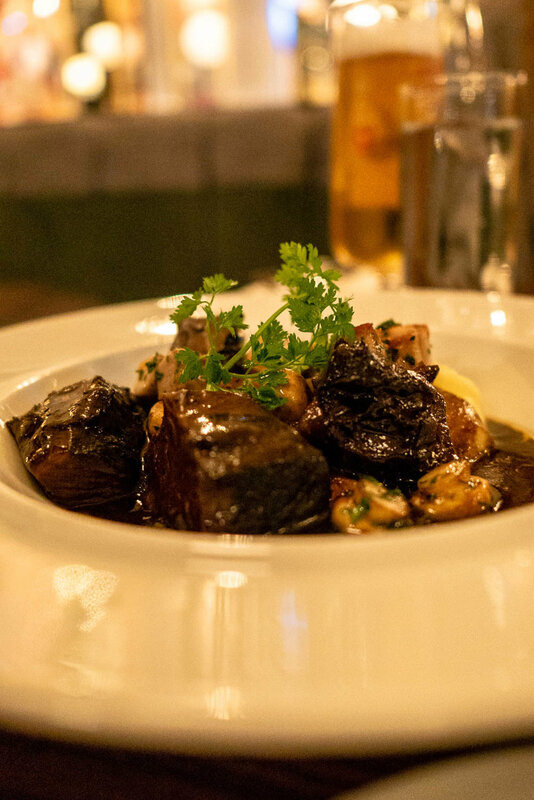 Saving the best until last... Friday sees our favourite dish, boeuf bourguignon with pommes purée & buttered cabbage. All are super filling and perfect for warming you up from the good old cold & rainy Manchester weather. Although we had a favourite dish we genuinely thought that all of the dishes were amazing so you wouldn't be disappointed on any day. We'd probably say the other four dishes were a close second for us anyway! That said, if the dish of the day isn't for you then order the deliciously creamy moules which are perfect for sharing with friends, but even better keeping to yourself! 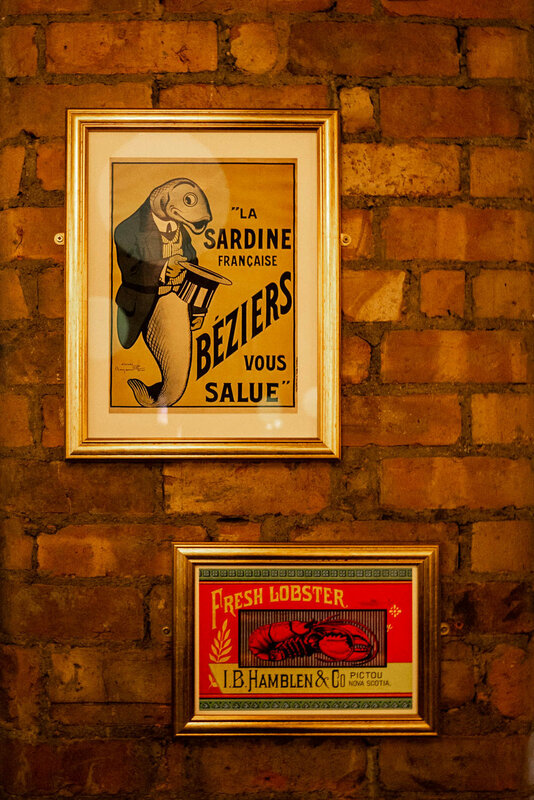 Other than the moules we've not actually tried any of the seafood that they're famed for but after spotting a couple of people sharing the fruits de mer platter full of rock oysters, crab, shrimp, wellocks, scallops and mussels we know we'll have to return again soon.